George Town, Penang: The George Town Literary Festival (GTLF) took home The International Excellence Awards 2018: The Literary Festival Award at The London Book Fair 2018. The results were announced during the International Excellence Awards ceremony on the opening night of The London Book Fair 2018 on Tuesday 10 April. The ceremony was held in The Conference Centre, Olympia, London. GTLF emerged victorious, being the first Southeast Asian literary festival to win the prestigious award, putting George Town firmly on the global literary map. This was not GTLF’s first appearance at the awards; the festival also made the shortlist in 2017. The two other shortlisted finalists in 2018 were the Joseph Conrad International Literary Festival from Poland and the Druskininkai Poetic Fall from Lithuania. “In a strong field, George Town Literary Festival stands out as a vibrant, diverse and brave festival that engages with a wide community of voices, speaking to the world from a complex region,” the judges ruled, unanimously conferring GTLF with the award. 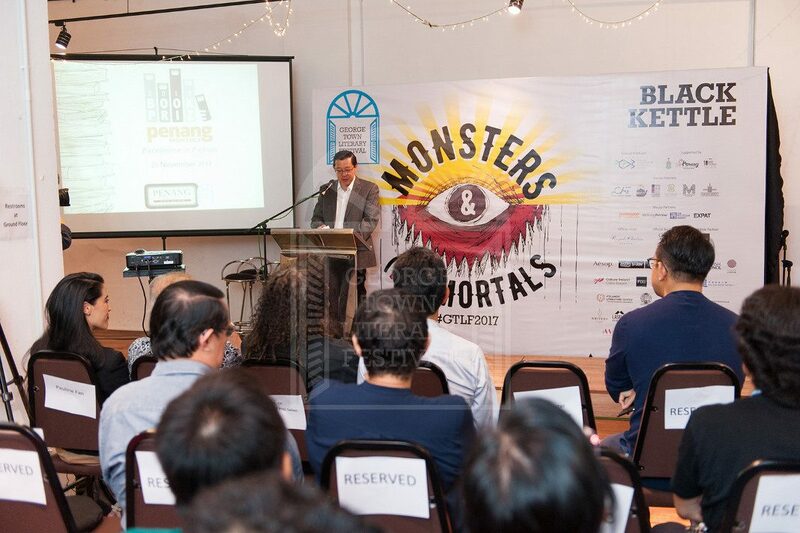 The initiative to create a literary festival in George Town, Penang, was spearheaded by the Chief Minister of Penang, YAB Lim Guan Eng in 2011. “The George Town Literary Festival is to encourage the literary arts to flower and flourish freely in Penang, for writers and poets to share their words, and for audiences to be engaged and inspired. I had confidence that even though we started with five writers we would grow because Penang has the talent, creativity and knowledge in order to produce an outstanding literary festival,” said Lim at the press conference announcing the win. 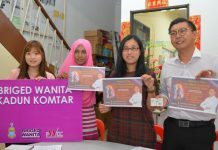 “With the Penang Convention & Exhibition Bureau (PCEB) producing the GTLF since 2016, the festival has grown to include two new components, one being the Translators’ Roundtable, which aims to give more visibility to the role of translators in local and regional literature, and to also highlight the many issues that translators confront. 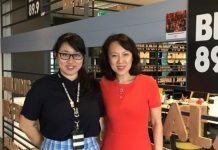 The other is the GTLF Fringe, which provides a platform for local writers, poets and storytellers to weave their tales and lore,” said Lim. “This is a win for culture, for literature, for free speech and expression. This is a win for discourse, diversity and conversation. This is a win for Penang, for George Town, for all who love literary festivals and for all who love our festival. This is a win for Malaysia, for what we are, and what we can be. This is a win for all, for all of us who love the word and what it represents to us, to Southeast Asia, to the world. This is a huge honour for the work we have done, and the work that we will continue to do,” said Bernice Chauly, Director of GTLF. GTLF is the largest literary festival in Malaysia. It recorded a total of 4,500 attendees in 2017, the highest number for the three-day festival since its first edition in 2011. PCEB also took GTLF to Kuala Lumpur for a showcase at The Cooler Lumpur 2017. 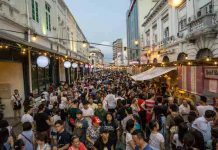 Building on its success, the 2018 edition will be four days and will take place on 22-25 November in George Town, Penang. It continues to be one of the most anticipated literary events in the region and globally.